Physiotherapy is the treatment of a wide range of conditions and injuries to the body through the use of various forms of passive mobilization, massage, electrotherapy and exercise. Our experienced physiotherapists provide accurate diagnosis and fast effective treatment for a whole range of physical conditions and sports injuries. 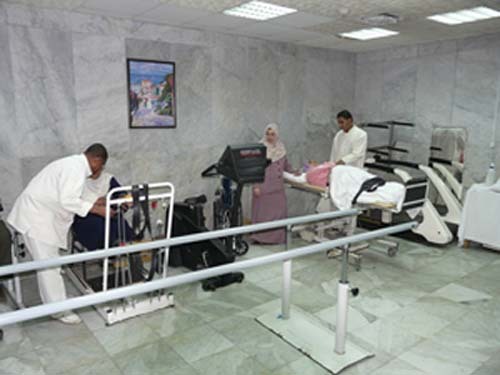 A new physiotherapy & rehabilitation center is being developed using the highest standards of elegance, luxury & equipped with latest state-of-the-art technologies in the field. The center will include laser treatment, coytherapy, shockwave therapy, as well as rehabilitation facilities as traction, titling & balance systems. Cellulite & skin toning treatment using ultrasonic waves will be a new feature in the center.